From Goodreads.com: In the conservative 1980s, the collapse of the mining industry in Newfoundland caused devastating upheaval for thousands of Maritimers, who lost their independence, community, and homes as joblessness forced them to uproot and start anew. 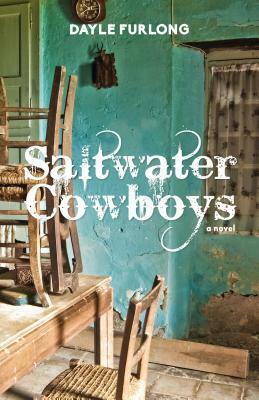 Jack and Angela McCarthy, after years of prosperity in the mining town where their families had lived for generations, find themselves among the "Saltwater Cowboys" — Newfoundland transplants to gold mines of Alberta. Arriving in the town of Foxville, the McCarthys find themselves resented, bullied, and taken advantage of, along with their fellow Newfoundlanders. But when Jack's best friend, Peter, is swindled out of his savings and resorts to stealing from the mine, he sets a heist in motion that throws both families into chaos. Inspired by actual events in a small mining town in 1988, this novel tells of the trauma of displacement and the enduring strength of family. I was really looking forward to the promise this novel had. I tend to find that novels "inspired by actual events" tend to be really good. Sadly, this was not the case here. To begin with, I didn't feel any connection whatsoever to any of the characters. They had a definite feel of not being as fully fleshed out as they could have been. More often than not, I found myself simply not caring about any of them. The second major problem I had with this book is that I found it to be very confusing with little flow to the story. In fact it took me a lot longer to finish this novel than it should have due to the fact that I had to keep putting it down and coming back to it. It just did not draw me in, nor did it keep my attention for very long.